Quality patient care is important to us here at Wil-Med Global. That is why we offer Champion Dialysis Chairs. They are 100% focused on patient seating. 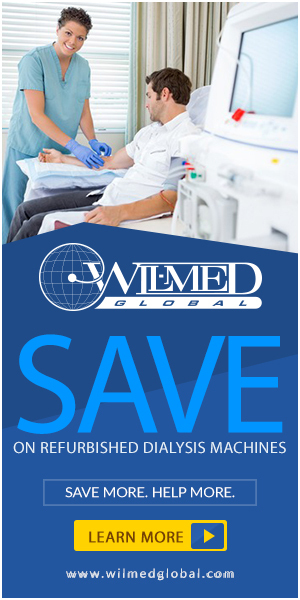 With Champion Dialysis Chairs we offer you better care, less cost and more value. You want to be prepared in the event of cardiac arrest. That is why we offer defibrillators to fully equip your clinic needs. If you are setting up a new clinic then you will want to make sure that you include medication carts on your list. Our medication carts come with a Gomco Pump and AED Defibrillator. Our scales are designed for your patients and your demanding healthcare environment. With low-profile platforms designed to help reduce fall risks, readings that can help clinicians prescribe correct medication dosages with confidence.